I am currently working on this project. 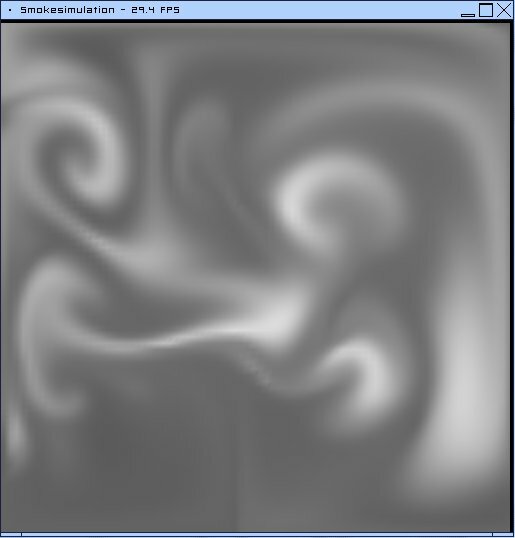 The goal is to correctly simulate clouds, from the process of creating water vapor to it's condensation and cloud forming. 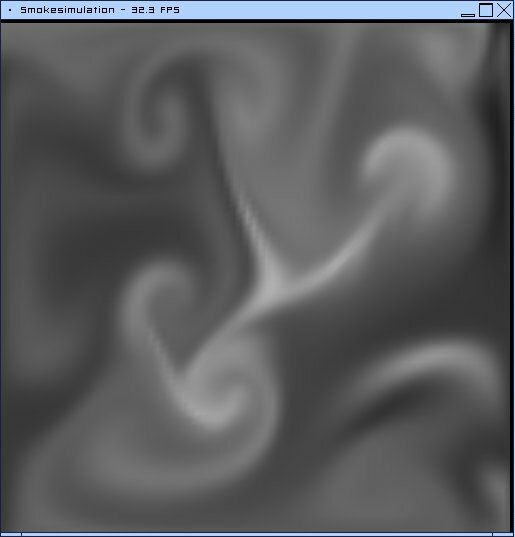 The cloud forming will depend on a lot of atmospheric In it's current form, the program simulates smoke instead. The simulation and the program is based on the earlier work of Jos Stam, Mark Harris et. al., and other researchers in the area of fluid simulation. I chose to implement their research papers in my own way. Currently, all the simulation is carried out on the CPU, but it should be possible to move it to the GPU.